System developed so that internet control is not a problem for your company! 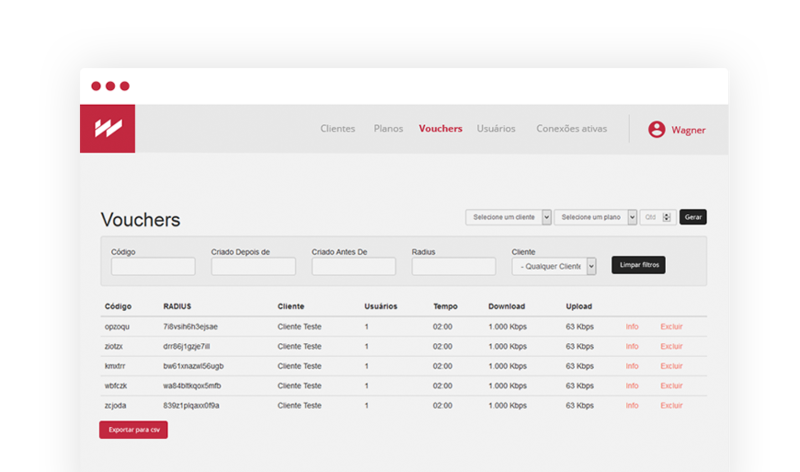 Possible to create several plans, for example, vouchers with predefined time: 30 min, 1h, 2hs, 24hs etc, number of simultaneous users in the same voucher, QoS per session, registration of connections. 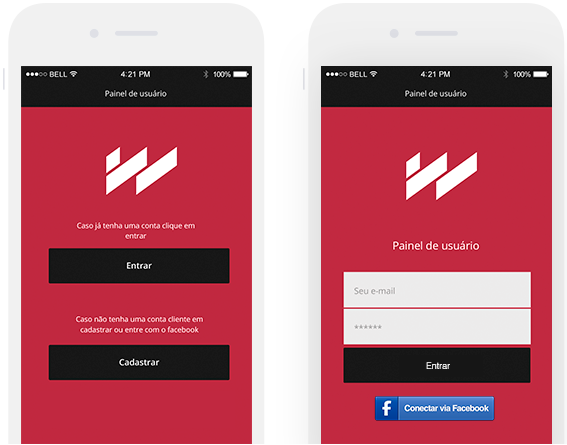 User portal, allows users to view user records that through the authentication page, have registered, or have been authenticated by the social network (facebook), the option for the social network or registration is the client’s option to choose, which method to leave enabled. All registrations are also available for export in excel, should the client have an interest in performing email marketing. Fully integrated system with social network, that is, the user can authenticate with facebook login, contact their customers through social networks. Or by registering, the user needs to fill out basic information for registration and then navigate. 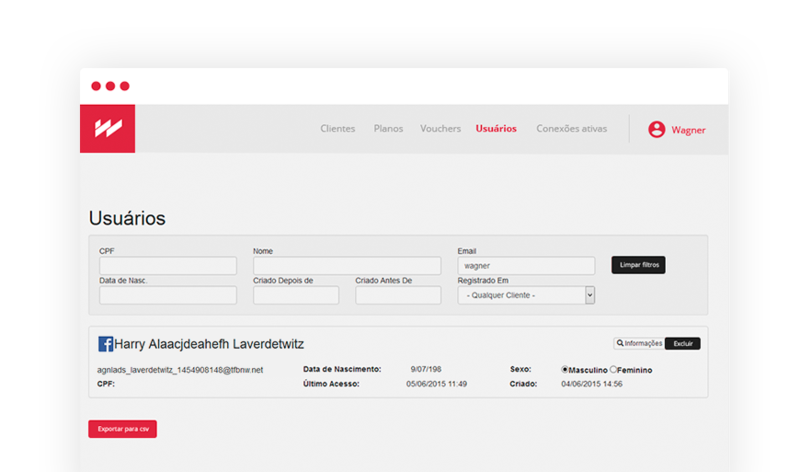 Voucher has as functionality the practicality in authentication, much used in events, just inform the code for your client so that he has access to the internet.